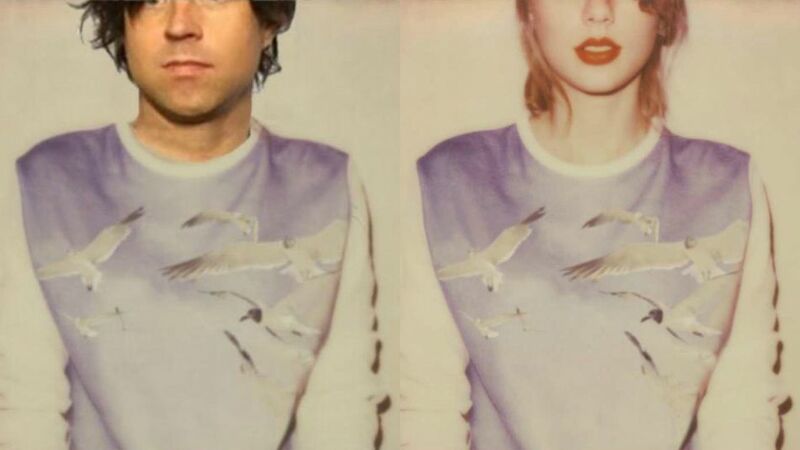 Unless you’ve been living under a rock, you know that singer-songwriter, Ryan Adams has just come out with a cover of Taylor Swift’s entire album, 1989. Ryan Adams is mostly famous for his covers of popular songs such as Oasis’ “Wonderwall”. Despite covering many artists’ songs, Adams always finds his own sound, making his covers extremely unique. While some fans were initially miffed at the prospect of their favorite songs being made over, as soon as Adams’ album dropped it became an instant success, albeit receiving mixed reviews. describes Adams’ cover as “more sincere and sentimental than the original,” while others at Rolling Stone write it off as “melancholy”. One thing is for certain though, from his low tempo rendition of the pop hit, “Blank Space” to his chilling version of “Bad Blood,” Ryan Adams has created an album to rival the original. While Swift’s sound is very “Top 40’s” pop, Adams’ has a much more “indie rock” meets “90’s alternative” vibe, causing the songs to sound vastly different than their originals. Ryan Adams’ versions of Swift’s songs are much less upbeat and sadder provoking many to speculate that the pain that Adams pulls from Swift’s music sets him above her talent-wise. I, however, feel that Adams’ heartbreaking renditions of the “1989” tracks simply present Swift’s lyrics in a different light. Taylor Swift has released heart-wrenching albums before, such as “Red“. Her songs are naturally sad and full of disappointment over failed relationships. Instead of playing up that aspect of her lyrics on “1989,” Swift instead masked the underlying pain with catchy dance beats. Adams’ take on Swift’s songs brings this hurt to light. One twist that Adams’ takes with Swift’s songs that critics have yet to mention is the “80’s rock” feel to tracks such as, “Welcome to New York” and “I Know Places”. In fact each song on the album sounds like it’s from a different era of rock ranging from the 80’s to today. This nostalgic feel works well with the title of the album. Both albums are truly phenomenal; Taylor Swift is a terrific performer as well as songwriter. However, Ryan Adams’ covers took an album that could’ve almost been written off as “cheesy pop” and gave it back the meaning that the lyrics demanded. While Adams’ album won’t get you amped up for a night out on the town like Swift’s original will, it’s amazing easy listening music and deserves five out of five stars.